The WS1 Series Wireless Video Intercom Door Camera stands only 5.8 inches tall and 2.75 inches wide, adding a modern, secure touch to any entrance. A speaker, HD 720 pixel camera, night vision 940 IR lamp and keypad for secure, password entry are only a few of the many features offered by this wireless access control video entry device. The WS1 Seriess Wireless Video Intercom System is a multifunctional security gadget that outsmarts even our toughest competitors. The main functions are: video recording, image capturing, remote unlock, voice intercom, tamper alarm, video surveillance, wireless WiFi connection, night vision, IP55 waterproof cover, supports multiple users, equipped with motion detection, offers multiple doorbell connectivity and more. This wireless video intercom is the future when it comes to door entry way security! As long as your devices have a minimum of iOS 7.0 or Android 2.3, then wireless video intercom between your front door and your cellular device is available to you wherever you go! Your cellphone istantly turns into a remote control for your door, complete with secure password protection and safeguard interface. With the WS1 Series Wireless Video Intercom System, the key to your door is always in the palm of your hand. Always away at work, planning a weekend getaway, or wishing to feel more secure when you're home alone? No matter what reason you may have, our wireless video intercom system provides the perfect, secure connection between you and your front door; anywhere, anytime. No matter what time of day or night, motion detection sensors alert you immediately when activity is captured on your doorstep. Stay ahead of the game and know who is knocking before opening the door to a stranger. If you're prone to losing your keys or forgetting them at work, easily enter without them using the keypad code on the wireless video intercom door station. Maybe your husband, wife or child forgot his or her keys and has no access to your home for hours. Simply unlock the door remotely with your phone or have them type in the secure passcode to enter keylessly! We could offer every scenario in the books, but when it comes down to it, unlocking your door from anywhere, for any reason, is just unbeatable. 25 unique chime melodies are available to choose from with our WS1 Series Video Intercom System indoor wireless door chime. If your cellphone is out of battery, lost or out of reach, visitors can still be heard when the wireless door chime sounds. 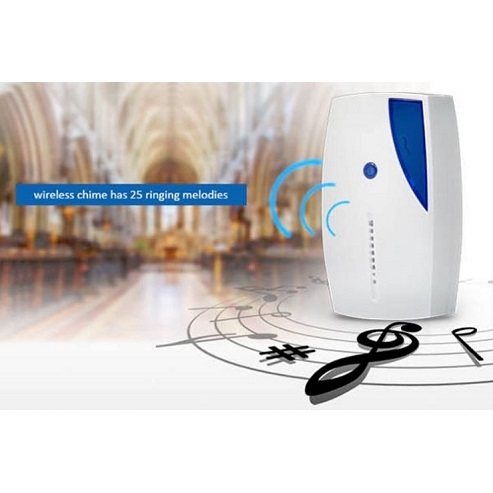 The wireless chime is optional, but comes with the WS1 Series Video Intercom System for those who would like to use it. Order your wireless video intercom system today and we will ship it directly to your home or office. The WS1 Series is in stock now, and ships fast from New York, USA. Don't wait - get yours while supplies last! 10. Video and image files of outdoor unit can be remotely viewed on mobile.